A very lucky tortie cat survived an hour in a sunken boat and was not discovered until the following day when a mechanic got the surprise of his life. 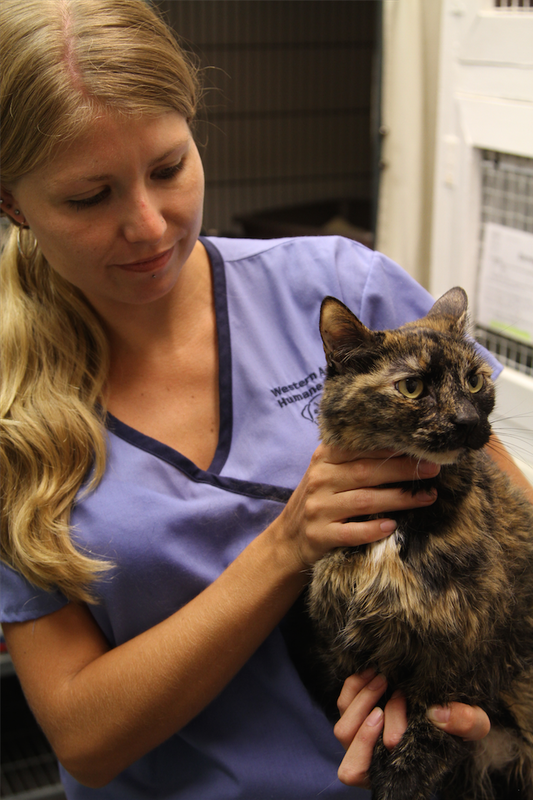 A very lucky tortoiseshell cat survived an hour in a sunken boat and was not discovered until the following day when a mechanic got the surprise of his life upon discovering her. The Havasu News-Herald and other local media outlets reported on the story after River, as she is being called, was found in a small craft that sank in Lake Havasu, Arizona over the weekend. The boat’s owner, who says she is not his cat and he had no idea she was aboard, hauled it from Southern California to the lake before taking it out on the water. After being overcome by waves, the boat ended up submerged near a sandbar in about 15 feet of water, where it sat for nearly an hour before workmen who were already on the lake came to haul it out and away. The kitty is thought to have survived, trapped in the ski locker compartment, thanks to an air bubble formed when the boat sank with the bow end pointing upwards. 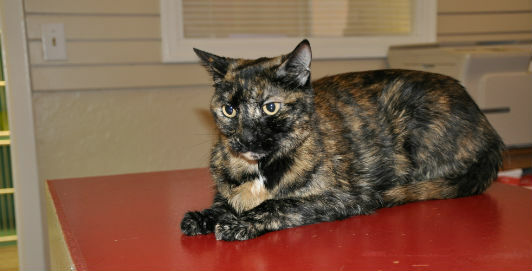 She was taken by animal control and transferred to the Western Arizona Humane Society. Kitty’s rescue was set into motion Saturday afternoon when the Mojave County Sheriff’s Office responded to a call from the boat’s passengers and Dive Time Recovery was contacted to haul the boat from the lake and take it to a mechanic’s shop. Dive Time’s Jon Zuccala raised the boat with his son, pumped some water from the engine, then dropped it off at the mechanic’s. He spoke with reporters after the surprising discovery and said no one knew the cat was aboard. River is not microchipped, so the shelter is waiting for five days before making her available for adoption. Watch the KSAZ report on the story, below. Jon Zuccala tells about the surprising discovery of the trapped cat. lucky girl and I love torties!